COURTESY PHOTO | Kirsten Lamb, Ethan Robbins and Ariel Bernstein are Cold Chocolate. The Perlman Music Program announced that renowned cellist and teacher Merry Peckham has been appointment to the prestigious Chair of Chamber Music at New England Conservatory in Boston. COURTESY PHOTO | Cellist Michael Katz will be performing at the Clark Arts Center on the Perlman Music Program’s campus October 12. The Perlman Music Program will set up camp on Shelter Island over Columbus Day weekend with two concerts. The first, on Saturday, October 12 at 7:30 p.m. will feature cellist Michael Katz and pianist Qing Jiang, both alumni of the Chamber Music Workshop. They will be performing the works of Beethoven, Cassado, Prokofiev and Radzynski. Michael has known the Perlmans and Associate Director Merry Peckham for a long time, having attended the early residencies in Israel in 1999 and 2000 and the Chamber Music Workshop in 2006 and 2007. 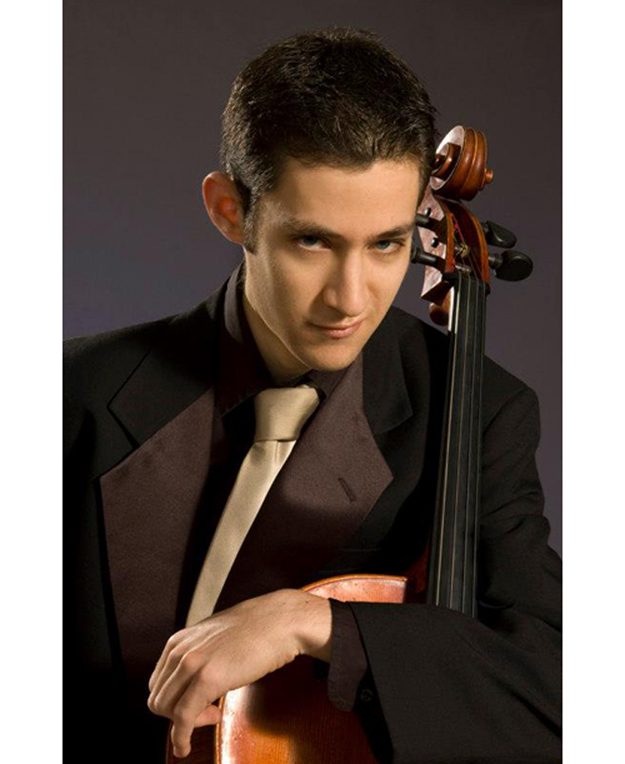 Originally from Tel Aviv, Michael began playing cello at age 7, studied at the New England Conservatory in Boston and Juilliard, and is currently working on his Dectorate of Musical Arts at Stony Brook University with Colin Carr. At 26, he’s had a diverse career, having founded a string quartet and a piano trio, won numerous competitions and performed all over the world. He will also be a part of the Perlman Music Program’s Stowe residency in Vermont that runs from October 25 through 27. Twenty-three of the PMP alumni will travel to Vermont for chamber music, orchestra and choral studies and perform with Merry, Chorusmaster Patrick Romano and Itzhak Perlman. Pianist Qing Jiang is also an alumni of the Chamber Music Workshop; she attended in 2010 and 2011. Originally from Zhenjiang, China, a city outside of Shanghai, she moved to the U.S. just before college and studied in Arizona, earned her master’s degree at Juilliard and her doctorate at New England Conservatory. She teaches piano and chamber music at the Curtis Institute of Music in Philadelphia and at the prep school at NEC, as well as at the Yellow Barn festival in Vermont during the summer. There will be a Meet the Artists reception after Saturday night’s performance. Tickets are $25 in advance and free for kids under 18. To purchase tickets, visit perlmanmusicprogram.org. A Works in Progress concert will take place on Sunday, October 13 at 2:30 p.m. Performers will include alumni of the Summer Music School and Chamber Music Workshop. The concert is free, with reservations required. Email [email protected] or call 212-877-5045. Both concerts take place at the Clark Arts Center at the Shore Road campus on Shelter Island.